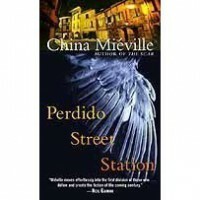 Perdido Street Station is the first of Miéville's novels set in Bas-Lag -- a strangely familiar, almost Victorian era-world, but with outrageous evolutions that China somehow manages to make 'normal'. I loved the imaginative creations, humane themes, and fully dimensional characters who will remain in my consciousness for years to come, I'm sure. The story is both thought-provoking and excitingly adventurous. Just when the reader settles in, a new element or character blazes forward to rock us back on our heels. If I were to criticize anything, I suppose it would be the cactus people. Really, China? They didn't prevent me from enjoying the book, but brought the material down a peg or two. Plant people living in a green house and who suckle their young with mammalian breasts seems cartoonish at best. But there is much more to love, so I'm willing to let the cactus people slide. 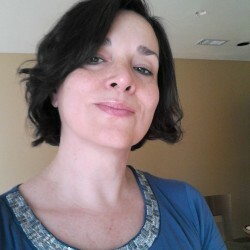 I was most taken with Miéville as a story teller more than a stylistic writer. Certainly, the writing is clear and competent, also intelligent with an interesting vocabulary. Emotion, idealism, and romance emerge through the scene rather than the words, if that makes any sense. The greatest accomplishment is that China created a vivid and real place sources from his own imagination, and I felt the world, living and breathing. And stinking. It was a filthy place. On all accounts, I recommend reading Perdido Station. Now, on to [b:The Scar|68497|The Scar (New Crobuzon, #2)|China Miéville|http://d.gr-assets.com/books/1320435192s/68497.jpg|731674]!